I require more than just your say-so. For one thing, why should I believe you when you say that Unger mislabeled anything? Secondly, why don't you just post the photos and mark who it is you're talking about instead of writing paragraphs and paragraphs of obtuse descriptions? 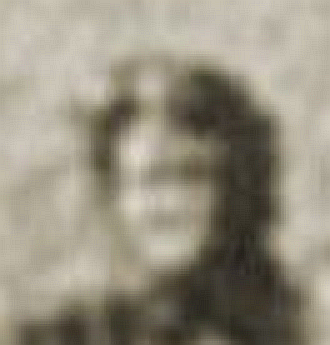 Thirdly, how does any of this rot show that the guy next to the Betzner blob is named John Templin? Thirdly, how does any of this show that the guy next to the Betzner blob is named John Templin? 1) In his yellow-labeled Z-151 frame, Robin Unger got six people wrong and didn't even attempt to label the Big And Tall, Black-Blouse And Black-Headscarf-Wearing Gal (your "Glasses Woman"). LOL If I remember correctly, Unger has grudgingly admitted that he mislabeled self-described American Indian Stella Mae Jacob as "Gloria Calvary" (sic). 2) I already have posted Betzner-3 and Willis-5, Iacoletti. They're in that long article by John Hunt, Jr. at the McAdams website. All you have to do is scroll down and find them. Let me know if you need any help in spotting Abraham Zapruder in them. Let me know if you need help in spotting your "Glasses Woman" in Betzner-3, and the bare-headed guy (21 year-old John Templin) standing next to her. Note how Templin is leaning a little bit towards your "Glasses Woman" in both Zapruder and Betzner-3, and how the peak of the fedora hat Templin's buddy, Ernest Brandt, is wearing can be seen peeking up from behind the right shoulder of the leaning-forward SS guy on the Queen Mary. As regards Unger's yellow-labeled Z-151 frame and Roberdeau's map (in which Roberdeau recently moved Jean Newman to the other side of the unlabeled brown dot representing your "Glasses Woman" -- LOL), I'm afraid you're going to have to look them up, yourself. 3) Have you read that 2012 Dallas News article about Templin and Brandt yet, Iacoletti? How do you imagine that Unger and Roberdeau actually labeled them correctly (they did, btw)? Did they interview them? Did they read that article or one similar to it? 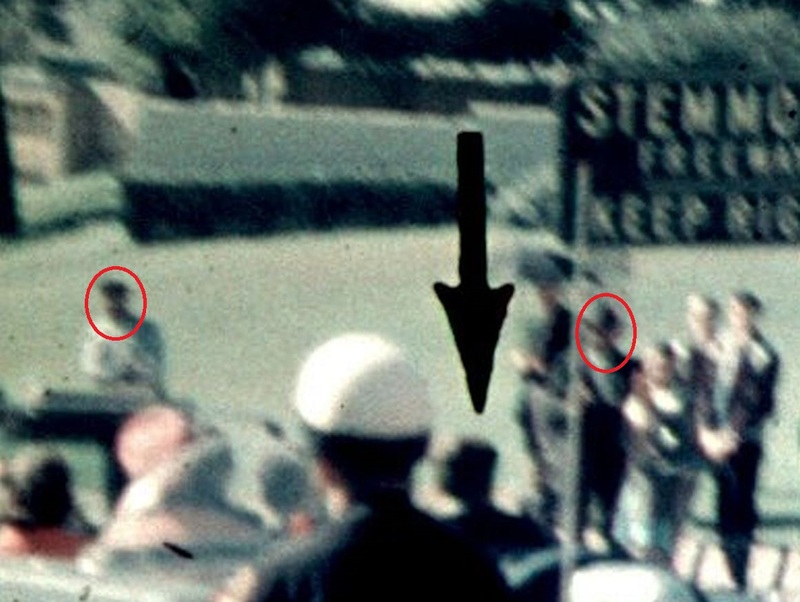 Did they meet them in Dealey Plaza one November the 22nd? That's easy for you to say -- with no evidence whatsoever. It's just as easy to say that you got seven people wrong. 2) I already have posted Betzner-3 and Willis-5, Iacoletti. They're in that long article by John Hunt, Jr. at the McAdams website. All you have to do is scroll down and find them. No, you posted obtuse descriptions of them and links to offsite pages rather than just posting the photos and annotating them with who you are talking about. And you still have provided ZERO evidence to support your identifications of Templin and Brandt, or how you decided that Templin was standing next to "tall woman" in Zapruder. Nor have you marked where you think you see "glasses" on Betzner-blob. 3) Have you read that 2012 Dallas News article about Templin and Brandt yet, Iacoletti? Indeed I have.  All is says is that Brandt "waved around a blurry photo", and that he was wearing a fedora that day. It doesn't say what photo or where he was in the photo. BFD. How do you imagine that Unger and Roberdeau actually labeled them correctly (they did, btw)? I don't know. But if you are going to cite them as authoritative, you better know how they made their determinations. Particularly when you've picking and choosing what they got right and what they got wrong. According to the Sixth Floor Museum, Dallas News and other sources, 37 year-old Ernest Brandt was wearing his fedora hat while he and his 21 year-old customer, John Templin, were standing together on the sidewalk on the north side of Elm Street, "near the Grassy Knoll." Interesting, then, that when we look at, in sequence, Altgens-6, Croft, Zapruder, Betzner-3, Willis-5, Bronson-5, and the Bronson film, we do not see two men standing together anywhere on the sidewalk on that side of the street. Not to mention near the GK, and with one wearing a fedora hat! -- Except, of course, for Robin Unger's and Don Roberdeau's correctly-labeled Templin and Brandt. Here's an excellent article I just now stumbled upon. It's obvious that Brandt's talking about Willis-5, don't you think? 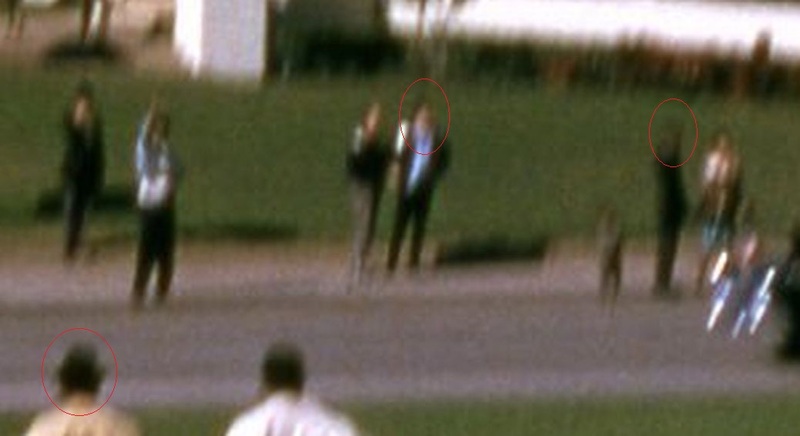 What other photo might he be waving around that "captured," from the intersection of Houston and Elm, JFK and Jackie on Elm Street, and Abraham Zapruder and Marilyn Sitzman on a pedestal in the background, and a fedora-wearing spectator (Brandt) in between? And regarding Tall Girl's glasses, let me remind you that it was you that noticed them in Betzner-3 (obviously after having suspected them and then enlarging her face to confirm your suspicion) a couple of months ago. You really don't remember calling her "Glasses Woman," John? As John I said, it's not hard to post images here. You may want to take the time to learn how to post. I recall you saying you were in your late 60's so perhaps learning something new will keep those synapses firing away. Here's a post of Willis. See how easy it is? But to a larger point, why do you keep blathering on about this? First it was your fixation on the Russians did it. Now you can't seem to let go of this glasses woman and fedora man and crying woman. If I'm not mistaken, this all goes back to one thing - whether the proposed time line of Prayer Man - and the people moving around in the various films and photos - is accurate enough to "prove" who exactly is up in the vestibule in the news film footage. So John I wants more proof. So what? So what if it is the blue-scarfed woman down there or the Indian woman or whoever? Big deal. The key here is one thing and one thing only - there is *someone* up in that vestibule. Is it Oswald? Is it a coworker? Is it a complete stranger who walked three blocks from their place of employment and then decided on a whim to walk down to that vestibule (maybe to get out of the sun) and watch the parade? There's arguments and speculation that both support or go against whether it's Oswald or not. But in the meantime, it's amazing how you keep going on and on about this as it really doesn't make a damn bit of a difference in determining who killed Kennedy. The Dallas News article says nothing about "on the sidewalk on the north side of Elm Street, near the Grassy Knoll." What sources? 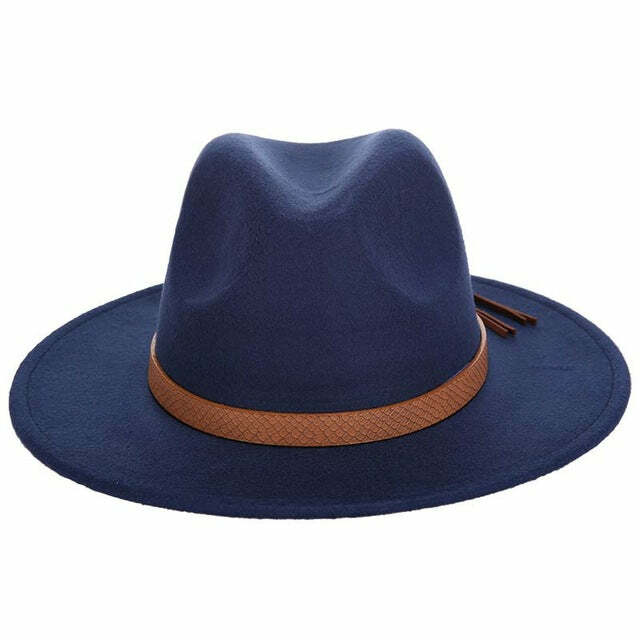 Doesn't even look like a fedora to me. I changed my mind after examining the above enlargement. Why is that so hard for you to comprehend? Agreed. I don't care who Doyle and Graves think is whom, as long as they don't claim their wild guesses are proven facts. Besides, given that you can't see Tommy's "hat man" in Betzner, OR Tommy's "glasses woman" in Willis, I'm not sure what he's on about. There's no reason to think that blob is Karen Westbrook. Ridiculous argument. How does a head turn (where do you even see that?) show that the people are Westbrook and Reed in particular?